Customers at a Thai restaurant in Redondo Beach, California, have rallied around a waitress who received an offensive note from a customer she served. 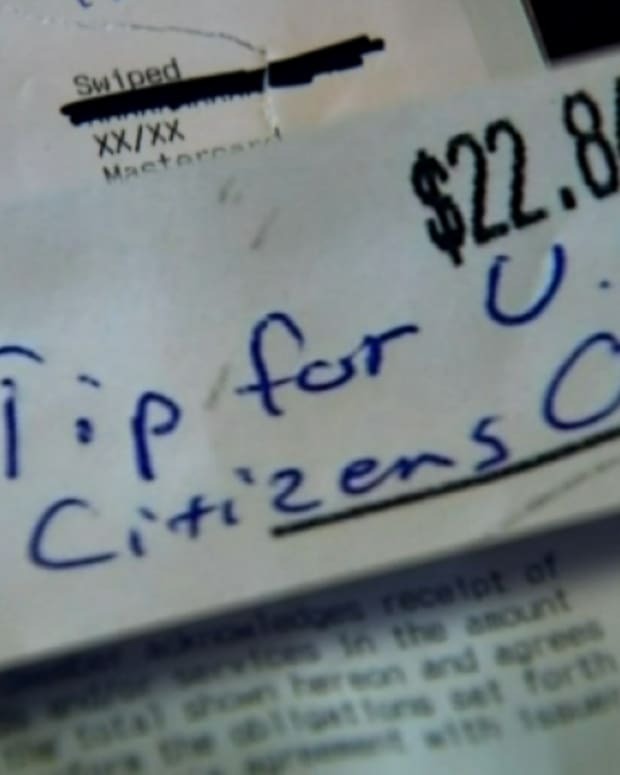 On Nov. 13, a patron who dined at Bamboo Thai Bistro left no tip for his server and instead wrote on the tip line of the receipt, "Tip for U.S. Citizens Only," LAist reports. According to the receipt, the customer&apos;s name is Jason Paul Naglich. 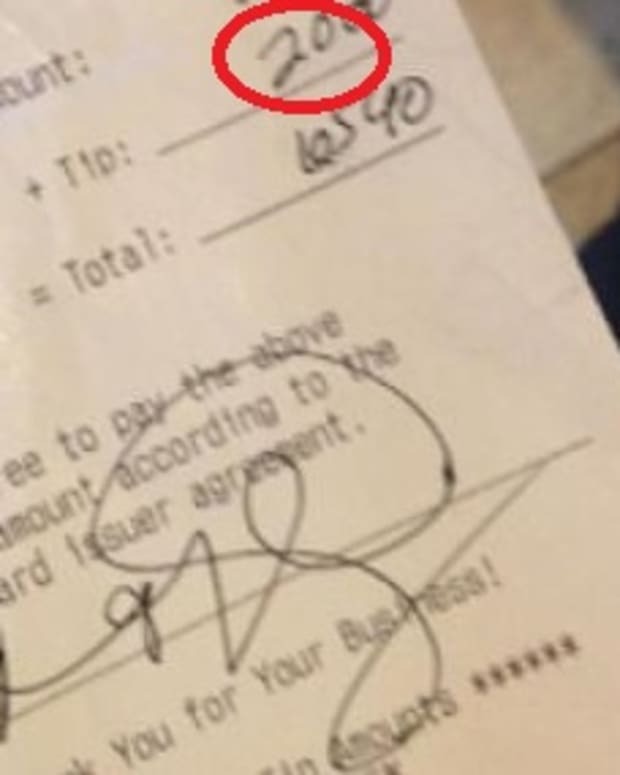 After a photo of the receipt was posted on Facebook by YouTube sensation Gina Darling, social media users responded in droves to express their disapproval of the man&apos;s "ignorant" note. Customers at the restaurant are now giving the server supportive notes and generous tips to compensate for Naglich&apos;s rudeness, NBC News reports. One customer left the waitress a $10 tip and a note that said, "Sorry you had to deal with that sad man." 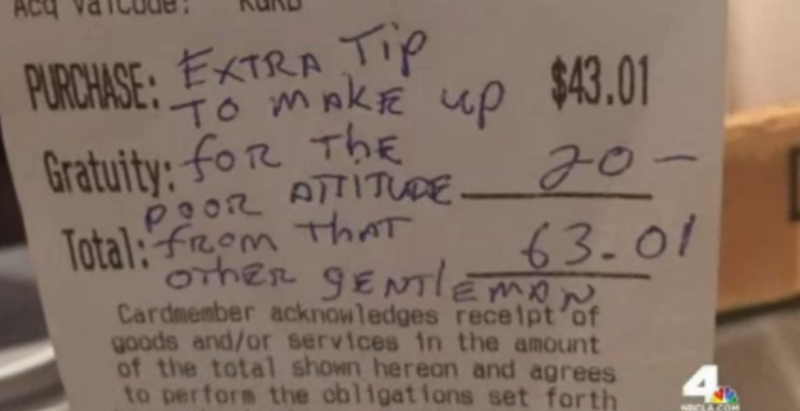 Another patron who tipped 50 percent of his bill told the waitress his tip was to "make up for the poor attitude from that other gentleman." 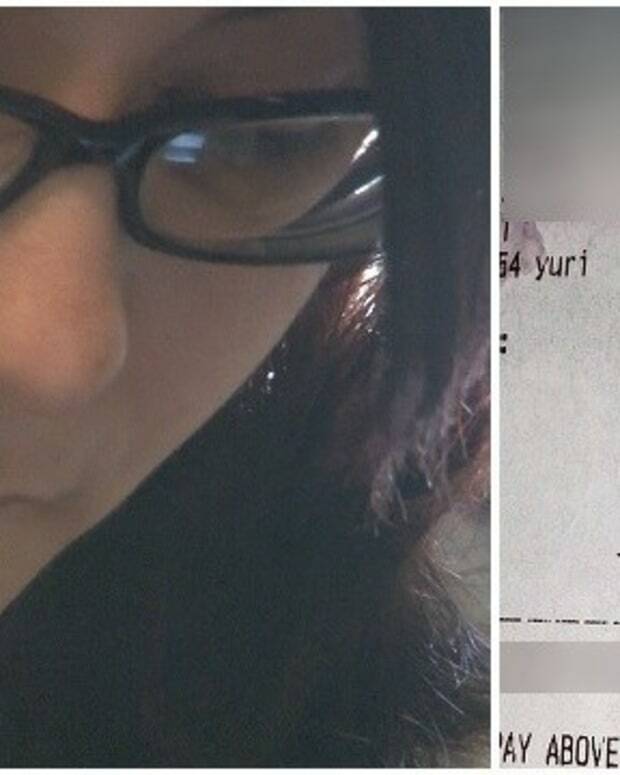 "Sorry he was a racist," yet another customer wrote after leaving a large tip. Adison Karnsomport, the manager of Bamboo Thai Bistro, said the flood of support that the waitress received has reaffirmed his faith in the restaurant&apos;s customers. "They&apos;re really generous and actually reaching out to us," he told NBC. 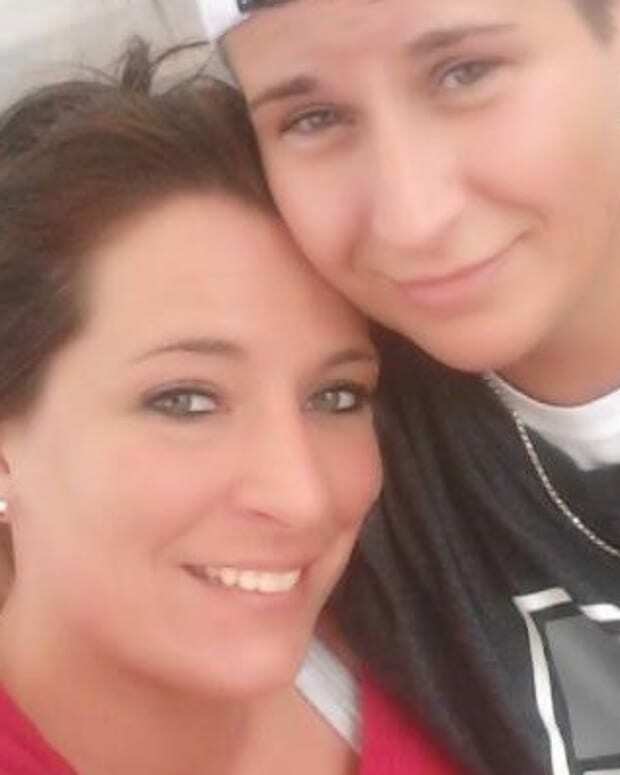 Some of the restaurant&apos;s employees have also spoken out in support of the waitress. 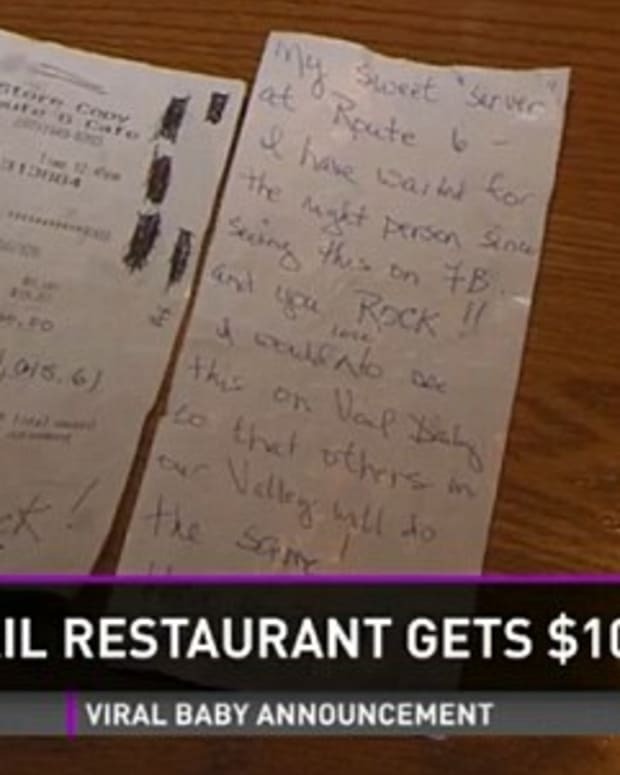 "Just to write a note like that is just plain rude," said server Chris Gomez, adding that the waitress who received the offensive message couldn&apos;t be nicer. "I&apos;m 6 feet tall and about 250, but that would still hurt me," Gomez said. The waitress, whose identity has not been released, is reportedly in her 30s and working in the U.S. legally on a visa, according to LAist. 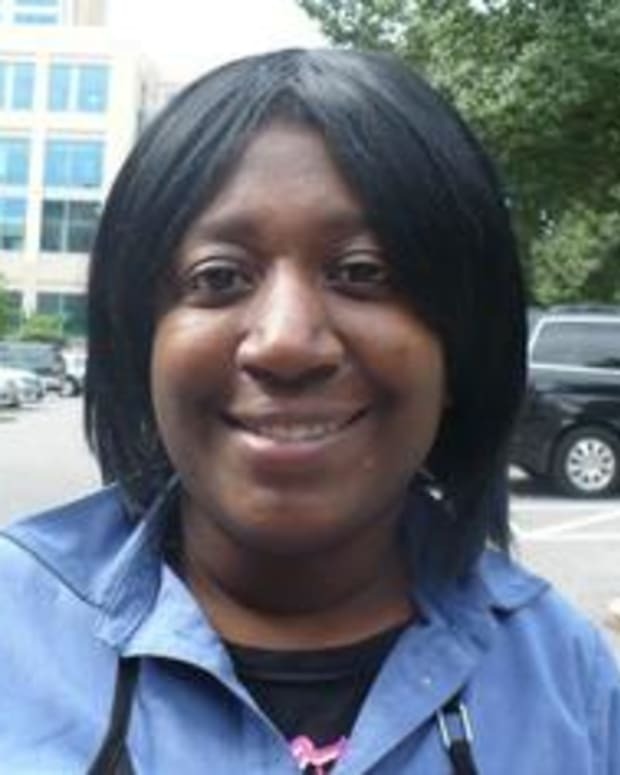 She told NBC that she hopes to get her green card so that she can make a better life for her two children. 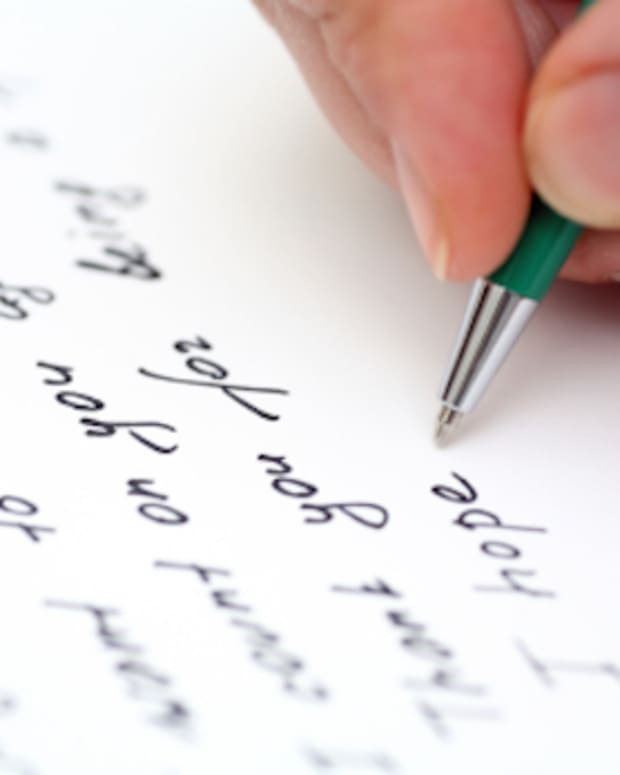 Karnsomport said he has not heard from the customer who left the note since the incident went viral online. "I haven&apos;t heard anything, or he hasn&apos;t reached out," he said.